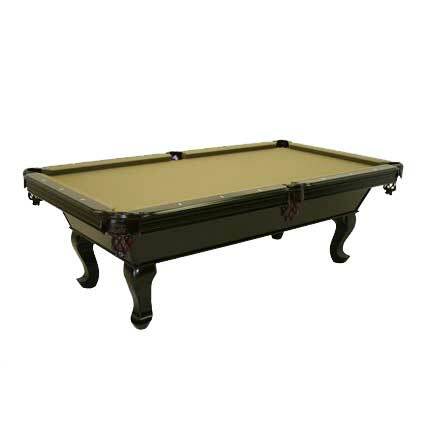 The Denver Pool Table comes from a line of high-quality pool tables produced by SilverLeaf Billiard Company.The Denver is beautifully hand-crafted from maple. The legs are hand carved queen ann style legs. The Denver has a sleek contemporary look while still achieving the feel of a fine piece of furniture. The rails and legs of the table are made from solid wood while the cabinet has a veneer on top of marine grade plywood. Its features include 1″ high-quality diamond honed slate, leather pockets, and K-66 tournament cushion bumpers for exceptionally fast play. The table has a teak finish.